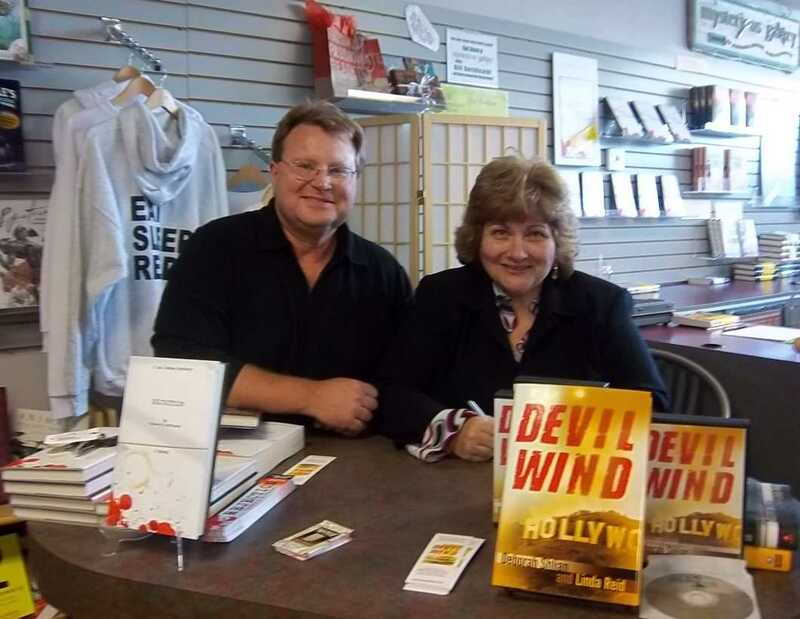 Just got off the phone with Linda Reid who’s returned from two exciting book signings for Devil Wind. She joined Ed Kaufman and his team at the wonderful M is for Mystery Bookstore in charming San Mateo, CA, after navigating the almost 8 mile San Mateo Bridge across the San Francisco Bay. “It was very windy, and the water seemed to lap at the edge of the road. Scary.” M is for Mystery is a wonderful bookstore in a cozy shopping outdoor promenade. She and Deborah (on Skype) filled in folks on my adventures in Devil Wind and Dead Air. Then, Ed introduced her to Sam’s Sushi down the street. SRO and the best sushi ever! Thanks, Ed. And then, just 30 miles from the border with TJ, Mexico, Linda was joined by fellow broadcaster Barbara Whitesides for a live interview at Mysterious Galaxy, where Patrick and his team provided a warm San Diego welcome. Linda and Thomas Matthews, author of the new mystery, Rejection, spoke to Barbara about their books and the challenges and joys of being a writer today. Judging from the photo below, it looks like the joys win.